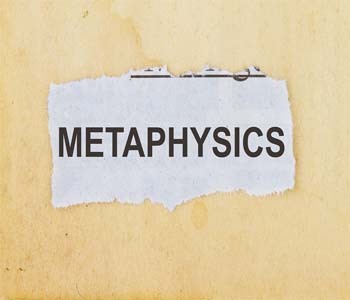 We put together a series of five articles that can help you as you begin your study of metaphysics. There are of course hundreds of books and thousands of websites that you can access. But why not curate a series of pieces that can be used as a starting point. Also, check at the bottom of this page for recommended reading and recommended websites. The first steps along the path to evolution is learning how to ‘listen’ to spiritual ‘clues’ and information that is transmitted outside our reality. And, trust me, learning about metaphysics is a matter of evolution. You must remember that we are constantly barraged with “noise” during our daily lives. It can come from the media, from our family and friends and, most of all, from one’s inner self-talk. The next step in honing one’s metaphysical abilities is learning how to see past the “physical”. When I say this, I’m referring to the image of the physical that is commonly shared by the general population. The reason for this is relatively clear. There is far more in our existence than what we normally focus on with our senses. Science has (correctly) told us that innumerable dimensions exist within our own space. For the average person, it’s important to simplify life as much as possible. Can you imagine what life would be like, if everyone began to understand all of the laws of Metaphysics? For many people, the distractions would be counter-productive to performing daily tasks. For others, fear would be a serious hindrance to their activities. What are “dreams”, exactly? There are a lot of so-called metaphysical experts who will give you all types of definitions. However, the nature of our average dreams is pretty simple. It’s how we use our dreams that take them into the realm of Metaphysics. So, let’s start with the simplistic nature of dreams. Understanding the nature of dreams. What Is New Age Belief?